Brett Steele named Dean of the UCLA School of the Arts and Architecture. The Director of the Architectural Association School of Architecture will join UCLA Arts in August. 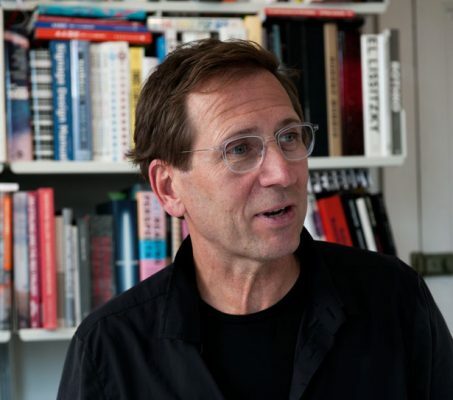 Brett Steele, the director of the Architectural Association School of Architecture (AA) in London, one of the world’s oldest and most influential schools of architecture, has been appointed dean of the UCLA School of the Arts and Architecture, Executive Vice Chancellor and Provost Scott Waugh announced today. 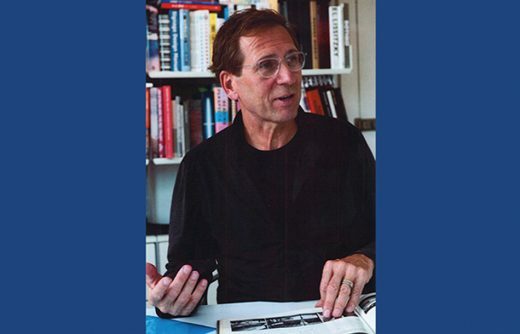 As dean, Steele will oversee the school’s leading programs in art; architecture and urban design; design and media arts; and world arts and cultures and dance; as well as the school’s two acclaimed museums — the Fowler Museum and the Hammer Museum — and its groundbreaking performing arts program, the Center for the Art of Performance at UCLA. “Chancellor [Gene] Block and I are confident that Brett will provide outstanding leadership as dean of the UCLA School of the Arts and Architecture,” Waugh said. Professor Steele has served as the academic leader and chief executive of the AA since 2005. He will assume leadership of the UCLA school effective August 15, 2017, and succeed David Roussève, who has served as interim dean since July 2015. As director of the AA, Steele oversees all full- and part-time academic and public programs at its London location and at the school’s rural campus at Hooke Park in Dorset. He also directs the association’s two subsidiary companies: AA Publications — a major architectural publishing house with a long tradition of featuring leading and experimental artists, architects and scholars — and the Hooke Park Educational Trust, an AA educational facility for design, workshop, construction and landscape-focused activities that develop new rural architectures and an ethic of material self-sufficiency. In January 2008, professor Steele launched the AA Visiting School in Dubai and a worldwide network of short courses and design research workshops, which enroll visiting students from more than 50 cities and territories across five continents each year. During his tenure, Steele also initiated an innovative M.A./M.F.A. program — the AA Interprofessional Studio — which explores alternative forms of interdisciplinary collaboration through the research, conception, design and production of genre-defying construction and spatial performance. By challenging the relationship between art and architecture through the creation of unique project-events — dance, theater, musical performances, exhibitions and festivals — the studio encourages students to develop a language for communicating across creative disciplines. In 1996-97, Steele co-founded the AA Design Research Lab, the AA’s first-ever full-time Master of Architecture program, which he designed around principles of networked studio life and digital design platforms. He led the lab for eight years prior to becoming director of the school. Prior to his tenure at the AA, he was a project architect at Zaha Hadid Architects, founder and managing director of desArchLab in London, and a project architect and planner in New York. Professor Steele’s scholarly interests focus on the modern history and contemporary conditions of architecture and art education and culture. An honorary fellow of the Royal Institute of British Architects and a fellow of the Royal Society for the Arts, he has written extensively on the expansive environments of today’s electronic, computational and amplified studios and networks in design. He is a frequent lecturer at universities, cultural centers and creative practices worldwide on architecture, design and the arts within larger public, political and professional fields in an age of cross-disciplinary exchange, dissemination and knowledge production.